Team Lakay lost its second world title in a span of one week as Geje Eustaquio relinquished his ONE Flyweight title in the concluding bout of the first-ever trilogy in ONE Championship history during ONE: Hero’s Ascent held on January 25 at the Mall of Asia Arena. 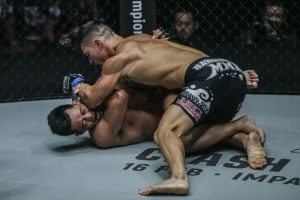 The ground game continued to hound the Team Lakay as its fighters start the year on the wrong end of the stick by failing to opponents who went for takedowns and Danny Kingad was the sole survivor in all of those five bouts. This came at the heels of displaying a vastly improved defense against the takedowns by several of its fighters last year. 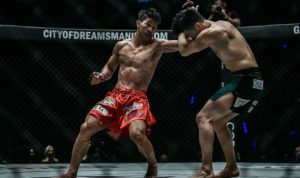 After Kingad got the better of his adversary in the first of three consecutive bouts participated by Team Lakay fighters, Honorio Banario and Eustaquio succumbed to defeats primarily predicated on takedowns by their respective opponents as did Joshua Pacio and Edward Kelly just six days earlier. Kingad was the first of the trio to enter the cage to face Japan’s Tatsumitsu “The Sweeper” Wada and supposedly set the tone for the evening. He did just that, in a match that saw a healthy dose of takedowns exchanges from both sides. “The King”, however, was the busier fighter in the strike department, unleashing a variety of punches and kicks that often hit their mark throughout the fight to earn the unanimous decision. The win improved the 23-year old’s career record to 9-1, and earned him a spot in the ONE Flyweight World Grand Prix. His lone career loss was to Adriano Moraes way back on November, 2017. He is riding a four-bout winning streak, all coming by unanimous decision. The loss drops Wada to 20-10, with 2 draws and 1 no contest. Eustaquio was not as lucky as he succumbed to the ground game of Moraes and yielded the ONE Flyweight Belt back to “Mikinho” in their third meeting. As in their second meeting, both men look to rely on their strengths, Eustaquio on their feet and Moraes on the ground. Eustaquio operated on his bicycle and continuously rocked the challenger by connecting leg kicks, left jabs and two-punch combinations. The superb defense against the takedown that he displayed in their second match , however, was visibly missing. It was the opening that Moraes would capitalize to accumulated the points. He took Eustaquio down on several occasions and went on to occupy dominating positions while they were on the ground although Eustaquio would eventually escape all attempts to submit him. Moraes made arguably the most decisive move of the contest by a takedown in the fourth. When the action got to the ground, the Brazilian moved to Eustaquio’s back and pulled the Champion’s left leg towards his left left shoulder. He, however, had to abandon the rare submission move called a Suloev Stretch when the “Gravity” refused to tap. When Eustaquio came out roaring with thundering strikes early during the fifth round in an effort to reverse the outcome, Moraes came up with another takedown later in the frame to secure the win. Eustquio’s loss is the 7th of his career against 11 wins and the 5th by decision. On the other hand, Moraes got his 18th career victory against only 3 losses, which now includes six by decision. Meanwhile, Banario also succumbed to yet another fighter who used the takedown as a means to end the bout. Undefeated American Lowen Tynanes, who is coming back after almost three years on the shelf, dominated the former ONE Featherweight World Champion to punch his ticket to the tournament semi-finals of the ONE World Lightweight Grand Prix. The 28-year old contender wasted no time bringing the action down below by planting Banario on the ground with his first takedown, barely 90 seconds into the opening round. He rained short punches and elbows to “The Rock” then transitioned to a crucifix position before he unleashing a series of rapid-fire elbows at the Team Lakay veteran. He would then foil an explosion attempt by Banario to escape, quickly reestablishing his crucifix position and continue the ground and pound. Another Banario attempt to escape the hold would result to Tynanes taking Banario’s back and raining series of punches that forced the referee to call the bout at the 4:46 mark of the round. The loss dropped Banario to 14-8. It was his third loss by KO/TKO. Tynanes improved his record to 10-0 with the win that now includes three kayoes and four submissions. He will face the winner of the upcoming match between Eddie Alvarez and Timofey Nastyukhin, which will take place on March 31 in Tokyo, Japan. Himanshu Kaushik defeated Egi Rozten via Round 1 KO (3:33).